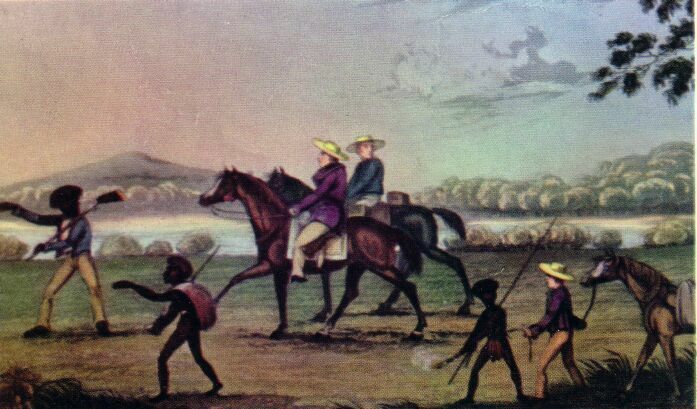 ^One of the first hand-coloured engravings in Australia. An exploring party from An Account of the State of Agriculture and Grazing in New South Wales, published in 1826. 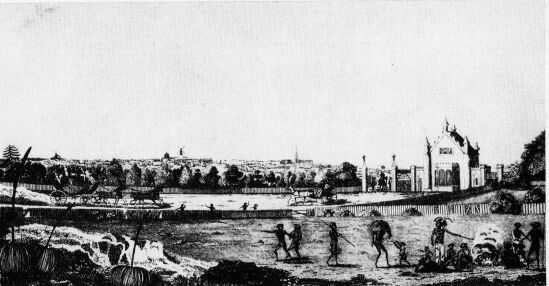 ^Sydney, about 1828, looking north over Hyde Park towards the harbour. 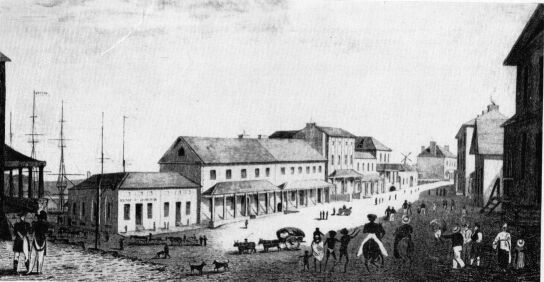 ^Lower George Street, Sydney about 1828. 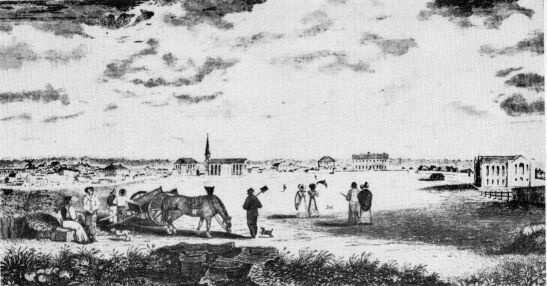 ^Sydney from the west, about 1828. The Gothic-style toll gates were erected by Governor Macquarie.